Love, life and friendship ... No one captures it better than No. 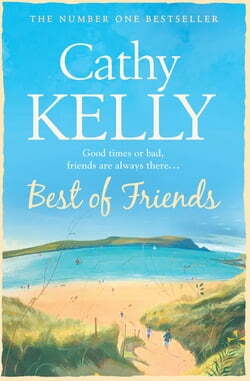 1 bestseller Cathy Kelly.Good times or bad, friends are always there...They're friends for life...and life is for living.In the picturesque harbor tour of Dunmore, four friends are facing hard times. Abby's TV career is taking off, but... read more her marriage to Tom is rocky. Meanwhile, her teenage daughter Jess despairs of ever finding a boyfriend. Lizzie has time for everyone - her family and friends, but never for herself. And Erin, married and back in Ireland after eight years in Chicago, is finding it hard to face up to her past.When tragedy strikes, it rocks the small town. Drawn together in their sadness, the four women suddenly realize what is important - life is for living and they must grab it with both hands.